As I planned the journey for the characters in Dinotopia: A Land Apart from Time, I realized that the ideal place for training pterosaur pilots would be in the canyon area on the eastern part of the island. I wanted the Canyon City to have natural stone arches spanning the gorge and dwellings sculpted into the walls of the chasm. Some of the inspiration came from the rock-cut tombs that I had painted while on assignment in Jerusalem for the National Geographic. 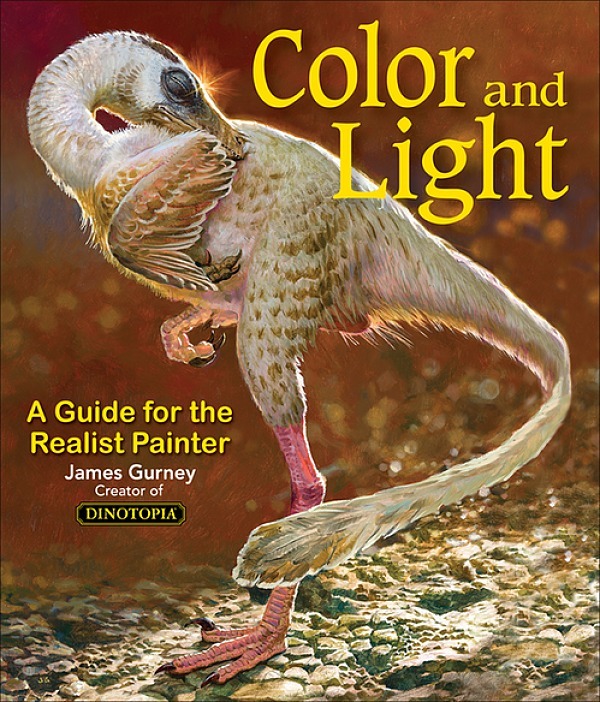 While the Dinotopia book was still in the works, I made a research trip to the American west to paint on location. Photos by Tobey Sanford. 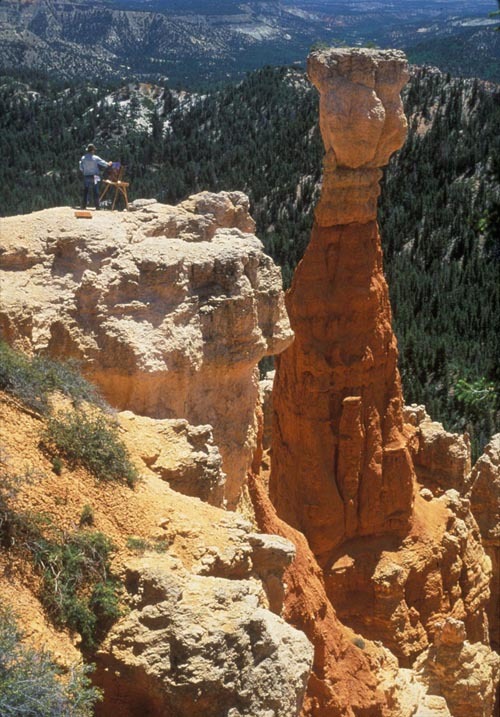 The weird landforms of Bryce Canyon in southern Utah also sparked some ideas. In this photo, I’m the guy standing (with wobbly knees) with a French easel near the edge of the cliff. When I painted these flooded carvings in Dinotopia’s canyons, I was also thinking of the temple of Abu Simbel in Egypt. 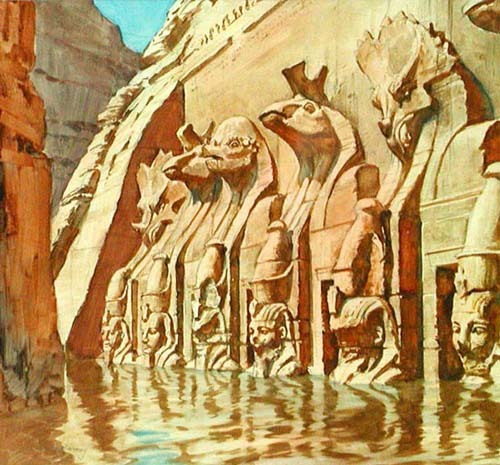 The story of how Abu Simbel was disassembled and moved for the Aswan Dam blew my mind when I was a kid. This painting got me started thinking about Dinotopia’s deep history, something I would explore in the next two books. For me, fantasy world-building happens in stages. Ideas form around other ideas. An answer to a question leads to three more questions. As you can see, I didn't have it all written down in a binder in advance; it grew organically, based on chance encounters, as Brueggert observed in the comments yesterday. As I painted the canyon world of Dinotopia in my studio, I tried to call up my memories of the real places. A few times I almost felt as if I was living inside my pictures. 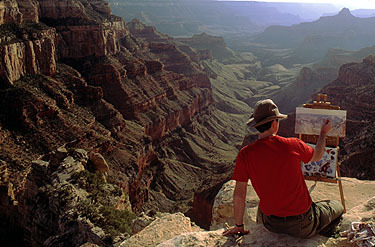 Once when I was painting Dinotopia’s canyon panorama, my wife called me for supper. 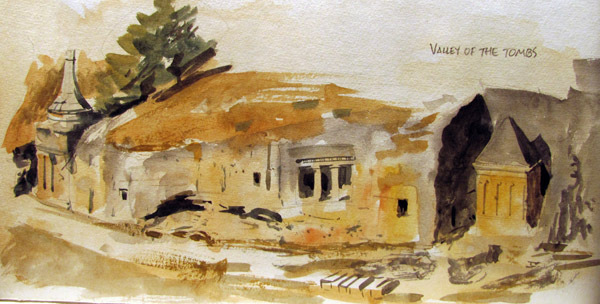 I was so immersed in my imagination that when I heard her voice, it echoed off the canyon wall. 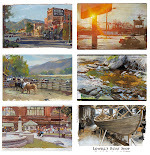 A collectible art print of the "Dream Canyon" panorama is available exclusively at the Dinotopia online shop. :D love all your work! This was very informative! I really appreciate your advice on world-building--I, too, find that worlds sort of build themselves very organically, and sometimes even exponentially, as, like you said, the answer to one question leads to three (or more) other questions. I think that's one of the best parts of world-building, letting yourself go along with that wonderful ride.